When it comes to top of the line equipment, nothing quite compares to the Trane XL20i Air Conditioner, well, at least that’s what you hear when you ask any of the experts in the industry! If you are a homeowner, the next thing you do is try to find a Trane XL20i price somewhere on the web… until now, that was a futile effort! You can only imagine our enthusiasm when we received an email from a reader who wanted to share his Trane XL20i price and experience with the installation of a complete Trane XL20i cooling system and air handler into his home in Texas. 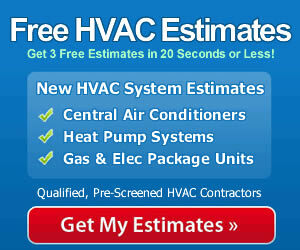 This HVAC Price Guide comes from Jeremy in great state of Texas, via our HVAC Cost form. Having spent all my life on the gulf side of Texas near Houston, I knew what it was like to be hot, year round! Well, at least I thought I did! Our 18 year old air conditioner system failed on a Thursday night and by the time we had a technician out to diagnose it as dead the following morning, we had no choice but to live through a 3-day weekend with no ac in the home, before we got our Trane XL20i price estimates and they could get out to install it on Tuesday the following week! Calling it hot in my house is an understatement and we bought 3 window air conditioners from Lowe’s to get us through the weekend! Installation took a crew of 3 workers roughly 6-8 hours. 3 HVAC Estimates Made the Difference! You always hear people tell you to get three estimates and think… yeah, yeah, yeah. LOL In our case, when we started shopping for a trane xl201 price, we didn’t let the hot temps sway the advice and we took our time making sure we got exactly what what we wanted! We chose to use a free online estimate service who lined up three qualified local contractors to come the very next day to provide a Trane xl20i price for us. We had already decided on a Trane XL20i system, so for us it was merely deciding which of the contractors gave us the best vibe about their skills, company, and of course the best trane xl20i price with financing options. The system has been in our home for more than 2 full months and we are already seeing the benefits of lower electricity bills (roughly a 35-40% drop over our old 10 seer system) and complete indoor comfort! 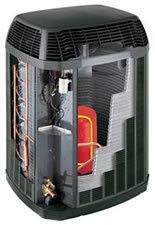 I would recommend a Trane to anyone who needs a new air conditioner! Unfortunately, you were not given the proper air handler that is recommended for the XL20i and you probably are NOT getting the 18.0 to 18.50 seer that you could have with the right air handler. Neither Trane nor ARHI show a rating for the 4TWZ036 XL20I and a 4TEE3F37 air handler. A 4TEE3C03 communicating or a 4TEE3F39 (39,000 btuh) should have been paired with the 3 ton 20i. I wish you well with this system and you will probably be very happy with it for years to come but you did give up efficiency. That is very insightful. Hopefully, the difference will not amount to much in utilities bill.